It’s Alcohol Awareness Month, founded and sponsored by The National Council on Alcoholism and Drug Dependence (now Facing Addiction with NCADD). 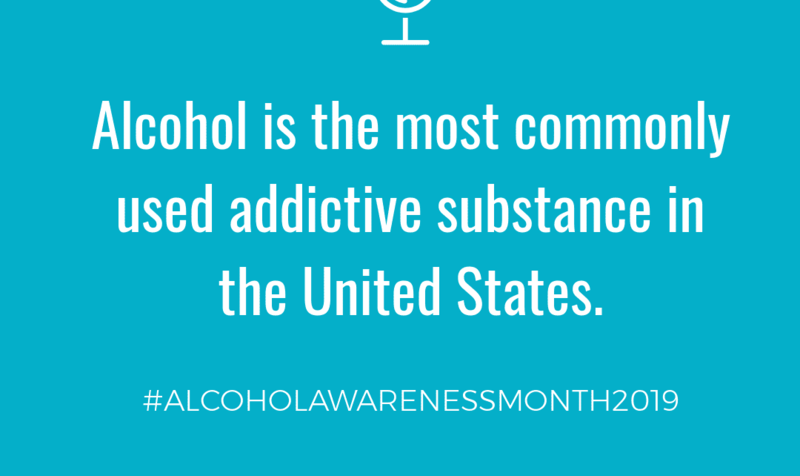 Established in 1987, Alcohol Awareness Month aims to help reduce stigma and educate communities about alcohol addiction and recovery. This year’s theme “Help for Today, Hope for Tomorrow” is designed to create awareness about the treatment and prevention of alcohol addiction and encourage individuals and families to get help for alcohol-related problems. In honor of Alcohol Awareness Month, we’re going to talk about what’s known as “high-functioning” alcoholics. These are individuals, often professionals, who may seem to lead a successful life but who are abusing alcohol. In essence, these individuals are leading two lives: one in the public where they may hold well-respected careers (doctors, nurses, lawyers, executives, brokers) and one in private where alcohol addiction is beginning to unravel their physical, emotional and spiritual health. By talking about high-functioning alcoholics, we hope that we help do our part to reduce the stigma and raise awareness. Alcohol addiction is a chronic, progressive disease and it can become fatal if you ignore it or hide it. Even if you disguise your addiction, you are still putting yourself (and others) at risk of harm. With proper treatment, however, recovery is possible. In fact, as many as 20 million individuals and family members are living lives in recovery from alcohol use disorder, according to Facing Addiction. Someone who is a high-functioning alcoholic will exhibit many of the hallmark symptoms of an alcohol use disorder. For example, you’ll likely experience cravings, numerous unsuccessful attempts at cutting back or quitting and obsessive thoughts about your next drink. You consume alcohol to feel happy or alleviate depression or to reduce the stress of work or anxiety about a relationship or project at work. You drink alcohol for every situation: to calm down, to perk up, to sleep, to wake up, etc. You drink alone or in secret. You drink too much and too often. For women, the limit is three drinks a day or seven drinks per week; for men, four drinks in a day or fourteen drinks in a week. You’re unable to stop drinking once you start. No matter your external behavior, if you drink too much your body’s tolerance for alcohol will increase. This means that you’ll need more and more alcohol to attain the same buzz or level of intoxication. You can’t go too long without drinking without symptoms of withdrawal. This can include feeling depressed or anxious, increasing irritability or feeling nauseous or tired for an extended period of time. These symptoms can occur around the time of day that you usually start drinking. Has your drinking caused problems with your relationship? Have you experienced any legal trouble, like a DUI? Has a loved one confronted you about drinking too much? Did you become irritated or angry? Has a loved one ever had to make an excuse for you due to your drinking? Have you experienced a blackout, or time when you were unable to remember what you did or said while drinking? Our New Jersey facilities offer a safe and supportive environment for you or someone you love to begin the journey toward lasting sobriety. To learn more about our addiction treatment services, contact us today: 800-761-7575.